Whatever your reason for packing your things and moving to the Lone Star State, Simonik Moving & Storage can help you move seamlessly into your new home. Our company has been providing New Jersey residents with custom moving options since 1977, and today we carry the same long-term commitment to quality. 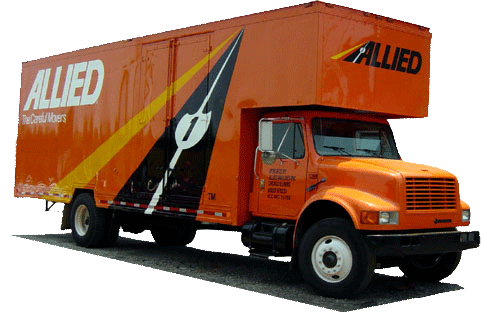 Our BBB accredited business meets some of the highest standards of business in the industry, standards that have made us an award-winning agent of Allied Van Lines, a respected national network of moving and storage professionals by our side. Our partnerships make moving from New Jersey to Texas easier than you ever thought possible. Moving is only half the story. Simonik Moving & Storage can store your household items as well, providing a full-range of storage needs suitable for your move from NJ to TX. We will pack all of your household items in containers designed for international shipping, which we can then store in our secure warehouse facility for as little or as long as you need. Our trained staff is ready to streamline your NJ to Texas move. We currently serve households throughout North and Central New Jersey, including those in Hunterdon, Mercer, Middlesex, Monmouth, Morris, and Somerset counties. We’ve proven our dedication time and time again, earning the New Jersey Warehousemen & Movers Association’s Mover of the Year Award, and status as a Certified ProMover Member of the American Moving and Storage Association, which means that we’re equipped to complete your New Jersey to Texas move like no one else. If you’re planning a move from New Jersey to Texas, now is the time to call our professional moving representatives. We can answer your questions, give you advice, and get you on the right track in no time. Don’t delay, call Simonik Moving & Storage now to get started, or just fill out our free quote form online to receive a free, no-obligation moving estimate.